Six-Word Lessons for Project Managers on Amazon, iTunes, Nook and others. Unclear requirements leave too much interpretation up to the team which results in building the wrong solution. Take the time to ensure the requirements are clearly understood and agreed upon among all parties. Lesson #4 - Sponsor doesn't care about problem. Thud. A problem that is no longer on the sponsor's radar means it will die a slow death. Things change. Make sure the sponsor still considers the problem a priority and one which needs to be fixed now. I recently had the pleasure of interacting with a group of young professionals on how to strategically think about their resume. Too often in career planning the resume building process is treated as a "how-good-can-I-make-my-word-document-look" and is driven more by what gets bolded and italicized versus what experience and qualifications will wow a prospective employer. 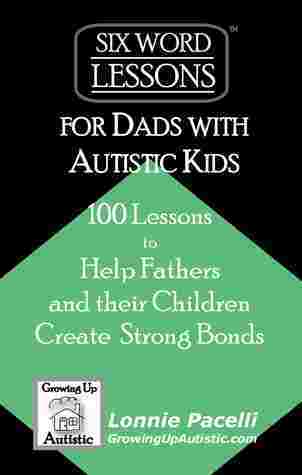 Enter to win one of five copies of Six-Word Lessons for Dads with Autistic Kids on Goodreads. Lesson 6 - Bad requirements. Do stuff faster. Poorly written requirements can cause you to build a solution that just does stupid things faster. Don't accept requirements which are of poor quality or don't focus on solving the stated problem. See all 100 lessons at 6WordLessons.com. In meeting these guiding principles, I've devised a one-minute video trailer strategy using PowerPoint animation and the video camera on my Surface Pro 4. This strategy is simple to use, looks professional, and most importantly costs only about two hours of my time to do. I've received great feedback on this approach and want to share how I do it to help you create concise trailers on the cheap. Lesson 1 - Can't write down problem, kill project. If the Project Sponsor cannot clearly articulate the problem, don't bother proceeding. Get the sponsor or designee to physically write down the problem statement for all to understand.